My husband and I arrived in Napa Valley, California on Thursday May 5th. After arriving in Oakland from Baltimore (I will explain why we flew into Oakland later), we picked up our rental car and drove straight to Napa with accommodations at the Embassy Suites Hotel. The drive to Napa was an adventure in itself and took about 55 min to be exact. The air was so crisp and the views were simply breathtaking! By the time we arrived at our hotel, we were hungry but excited to explore this little city so we ventured to one of the restaurants suggested to us by the concierge which was Don Perico Mexican Restaurant. The food was delicious and the margaritas where even better. We ordered light fare because we knew we wanted to try out some additional restaurant spots. 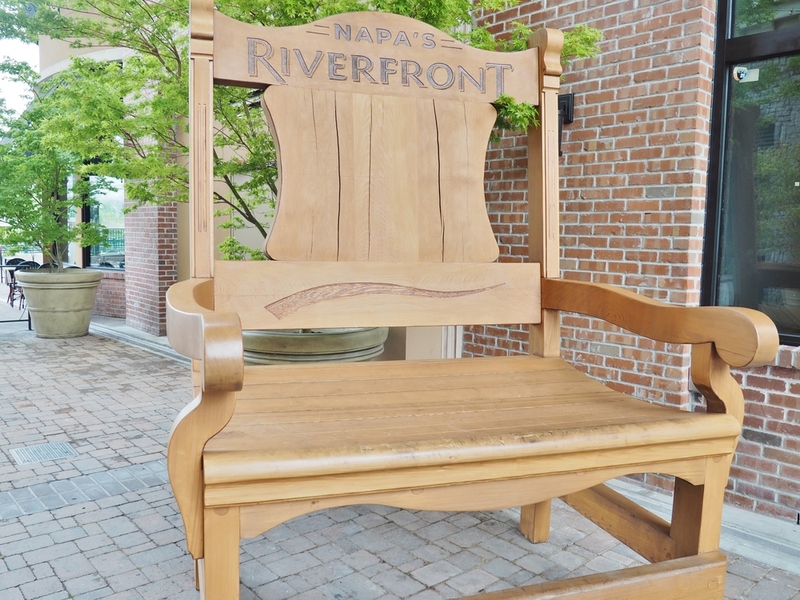 We took a little tour around the waterfront which is considered downtown Napa Valley. Let me tell you, this area was so cute. You will know when you are downtown because up until that point all you see is fields full of greenery. This area was filled with cute little boutiques and restaurants looking out on a small waterfront. We stopped by the welcome center to pick up some brochure’s and to get a little history of Napa. While we were exploring we walked passed a restaurant and we could see a roof top covered with lanterns, so we made a B-line to the entrance of the restaurant called Ninebark and then we were escorted to the elevator. The elevator’s opened to the most spectacular view of Napa and the timing was perfect because the sun was beginning to set which led to a golden glow around the whole city. The next morning Friday, May 6th on our itinerary was lunch on the Napa Valley Wine Train which consisted of a three course meal. You are required to arrive by 10:30am to sign in and get your tickets. We arrived a little early and picked a couple of mimosa’s to start off. Once we boarded the train, we found our assigned seats and we were greeted by our waiter. Although I didn’t get what I wanted as far as photography because of the rain. It was such an amazing experience. After our trip around Napa Valley we headed back on the road to San Francisco. But I’ll save that for another post.